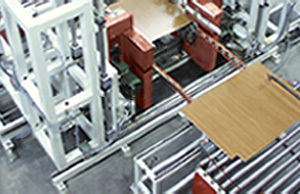 Notching Saws – Creative Automation, Inc.
Creative Automation offers custom panel notching solutions from stand-alone up to high volume, in-line machines. 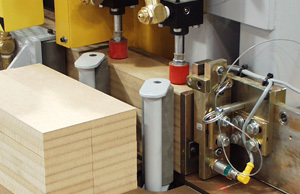 Base end toenotching saw in a high speed base and wall end panel line. 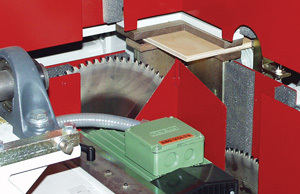 Closeup of base end toenotching saw prior to cutting. 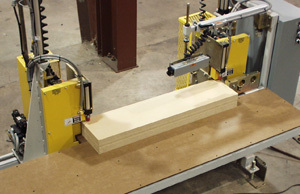 Automatic kitchen cabinet base support rail saw and notcher.